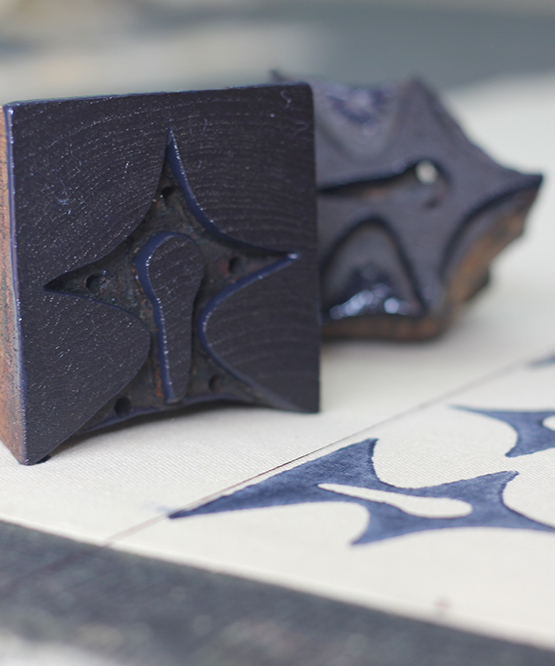 Block printing is a special form of printing first developed in China – probably around two thousand years ago. The earliest known example with an actual date is a copy of the Diamond Sutra from 868 A.D (on display at the British Museum). Many regions of India became renowned for their printed cotton as far back as the 12th century and trade in cotton cloth is said to have existed between India and Babylon since Buddha’s time. To create a custom pattern, the first step is the production of the design. This is then transferred to a smooth wooden block and fixed into place and carved into the block of wood. 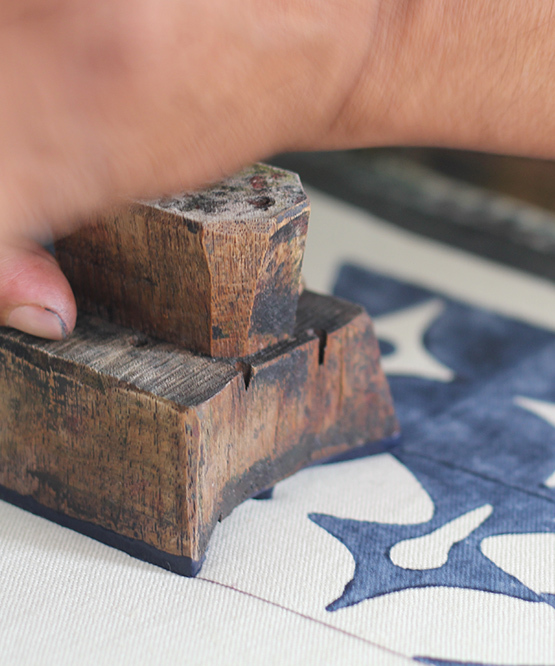 The block is covered with ink and pressed down onto the fabric by hand to create the pattern. Each piece of printed fabric is unique because the handmade process will produce variants in pressure, colour and slight deviations in angles. We use hand-block-printed textiles for our Bintan Collection chairs because they make each chair one-of-a-kind and give them a relaxed and fun, yet sophisticated feel.